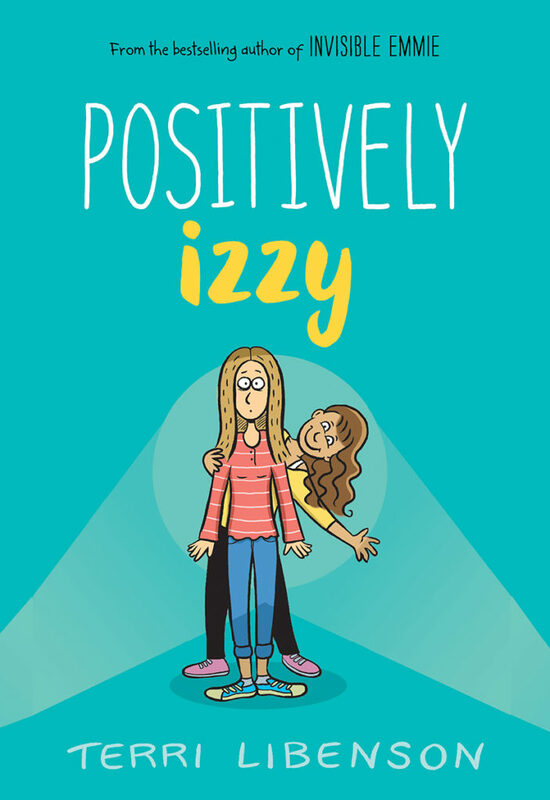 Terri Libenson is the author of Positively Izzy, a new graphic novel for kids. 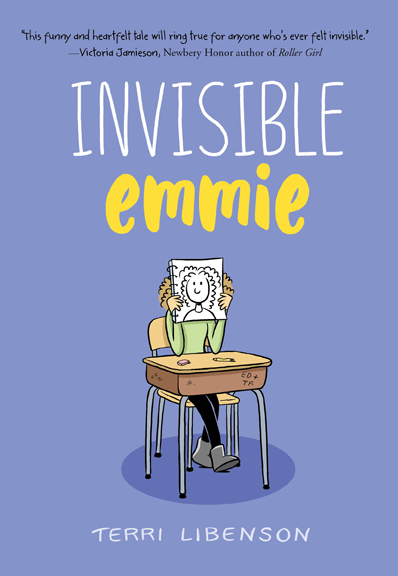 She also has written Invisible Emmie, which features many of the same characters, and she is the cartoonist for the daily comic strip The Pajama Diaries. She lives in Cleveland. 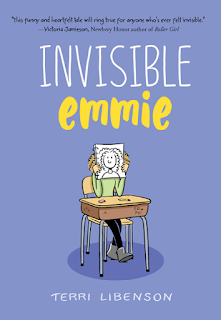 Q: Why did you decide to write this spinoff of Invisible Emmie, featuring Emmie's friend Brianna? A: I thought that Emmie’s story was done, for now. Not that I wouldn’t write for Emmie again, but I wanted to rotate characters and focus on someone else, just to keep things fresh. I enjoy having this setting where I can switch it up and peek into different people’s lives. 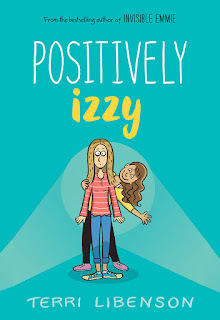 Q: How did you come up with the character Izzy? A: As with Emmie, I wanted to present two characters that were different in nature, yet had more in common than you’d think. Izzy seemed to be that: a daydreamer and entertainer -- as opposed to Bri, who is more serious and studious. Q: Do you think your characters have evolved from one book to the next? A: Definitely. I think lessons were learned in Emmie, and the students have evolved from that, although there are still challenges. It’s most notably shown in new friendships. Q: Will you return to Emmie and Brianna in future books? A: Oh, absolutely. Whether they are main characters or side characters, they’ll be there. A: I’m writing my third book! It stars two other familiar characters from both Emmie and Izzy. Can’t say who yet. A: I just hope you enjoy Izzy! There’s more artwork this time, and you’ll see many familiar faces from Emmie. I’m really proud of this book. --Interview with Deborah Kalb. 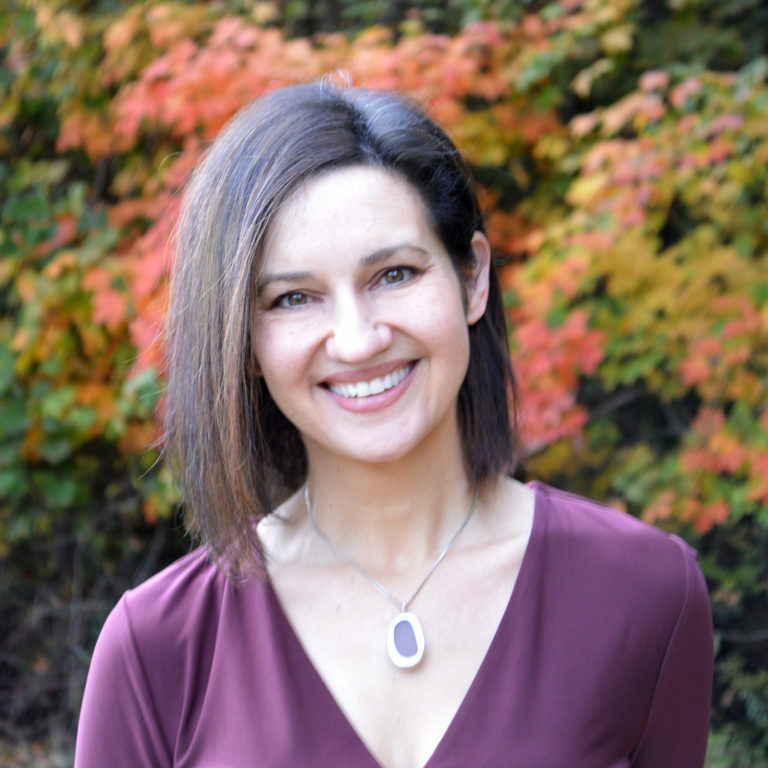 Here's a previous Q&A with Terri Libenson.